Congratulations to the Issue #1 Poets! Ta nka Journal is off to a great start. 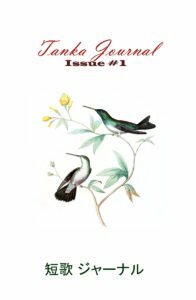 The following poets were featured in our debut issue, congratulations: Aldridge, Bobby; Ancheta, Angelo; Anguiano, Kim; Baxter, Lewis; Beaston, Judy; Berche, Chrystal; Brown, Mandy; Browne, Heather; Bryant, Cathy; Buck, Stu; Burkholder, William; Butler, Janet; Campbell, Colin W.; Cates, Jay; Chameleon, Jesus; Chappell, Grace Hughes; Chircop, Charmaine; Edwards, David; Fitzgerald, Genevieve; Gardiner, Tim; Germain, Melvina; Gunn, Mary; Gusek, Chris; Guzzi, Deborah; Heyward, C. Z.; Hicks, Timothy; Holmes, Carly; Joy, B.t; Kapp, Christina; Kauderer, Herb; Kimathi, Teddy; Krause, Catherine B.; Li, Lily; Lowe, Dennis; Maglas, Marieta; Manus, Grady; Murphy, Mickey; Norman, Dani; Nystrand, Kasha; Olin, Linda Bonney; Ortiz, Sergio; Ortolani, Al; Patterson, Melissa; Penven, Robert; Planko, Christa; Prosser, Lee; Qureshi, Maryam; Rahim , Goran; Robinson, Jackie Maugh; Samuels, Clarise; Sprague, Adam; Wasilewski, Nells; and Zafiris, Spiros. Available in paperback by visiting our bookstore.